As coastal resource use continues to increase in Hawaii, bringing with it both problems and opportunities, Malama Kai Foundation is supporting the rising need for environmental education and sustainable community-based management of coastal resources by supporting partner projects. The West Hawaiʻi Fishery Council provides a community-based approach to fisheries management. In 1998, the Hawaii State Legislature passed Act 306, which established the West Hawaii Regional Fishery Management Area (FMA) under the Hawaii Department of Land and Natural Resources. The Act defined the West Hawaii area to encompass the nearshore waters from ‘Upolu point (North Kohala) to Ka Lae (Ka‘u) on the island of Hawaii, a shoreline distance of approximately 147 miles. The purpose of Act 306 is to effectively manage fishery activities to ensure sustainability, enhance nearshore resources, and minimize conflicts of use in the West Hawaii Regional FMA. The WHFC was formed in 1998 to accomplish the goals and tasks of the legislation. MKF receives funding to provide administrative support to the WHFC. 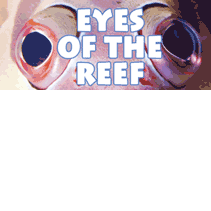 Eyes of the Reef (EOR) is a statewide, volunteer organization that provides community training for the identification and early detection of the five major threats to our local coral reefs. With support from Malama Kai Foundation, EOR has developed training and outreach materials, brochure, field guide, and underwater identification cards. EOR verifies and assesses reports from the community, then forwards verified reports to the appropriate state agencies for follow up. All reports are kept in a statewide database in partnership with Reef Check Hawaii and DLNR’s Division of Aquatic Resources. Since its inception, Malama Kai Foundation has partnered with other local organizations to sponsor ReefTalk, a free lecture series on marine and coastal topics, bringing experts from around the State to speak to the West Hawaii community. After a hiatus of many years, Malama Kai Foundation is currently working with partners to restart ReefTalk! Stay tuned for more information.